Just as there are strategies for winning, there are strategies for failing. Here are 3 business and life strategies that guarantee defeat. I recently finished reading Don Keough’s (former President of Coca Cola) The Ten Commandments for Business Failure and there were three points in particular that resonated with me. I think you may get something out of them too. The tongue-in-cheek premise of the book is “if you want to fail in business, absolutely make sure you do these things” so that’s how I’ll write this article. Risk aversion has been the prevailing mood for mankind throughout history. The hunters and gatherers of old roamed far and wide in order to survive, but the agricultural revolution allowed us to settle down and most people did. People chose to live as their fathers and grandfathers before them, never venturing far from the village. And it made sense. The world was dangerous. Just look at the old maps with vast areas labeled “terra incognita”—unknown lands–and even drawings of serpents and monsters. Who would want to sail to such places? Many of history’s great achievements, however, started with a great risk. Look at the formation of America. It was about risk taking from the beginning. From Columbus to Jamestown to the Second Continental Congress to the seminal Declaration of Independence, this country was built on one huge risk after another. My career as an author and entrepreneur started with a risk. I had a comfortable job making a comfortable income. I had job security and could provide for my family, but I wasn’t content with it. I knew that the only way for me to really achieve the success I wanted was to own my own business…something I had never done before. One side of me was saying that it wasn’t worth the risk–that things were nice as they were, and that I didn’t really need more. Why risk losing that? The other side, though, was telling me that I had everything it took to build a business myself and that I wasn’t achieving my full potential. It wasn’t about simply acquiring more money or stuff–it was about self-actualization. I went with my gut and decided to quit my job and pursue my writing full-time. I figured that the worst case scenario is the business fails and I had the skills and resume to find another good job. The risks, when viewed objectively, weren’t that outrageous after all. The prospects of failure were just uncomfortable. Well, that was just about a year ago and it’s been a rocket ride. 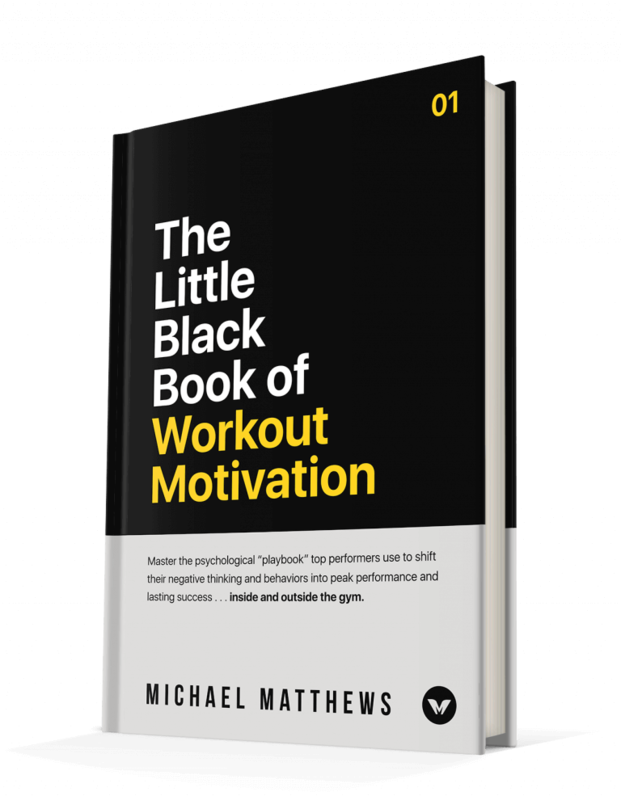 Muscle for Life has exploded in popularity, I’ve sold over 100,000 books, and my latest venture, Legion, will do seven figures in sales in its first year. The moral of the story is don’t be so afraid of taking risks that you miss any and all opportunities. Be smart with your time and money; don’t just throw either at every glimmering promise of success, but don’t instinctively back away from anything that carries calculated risks. Not taking risks and being inflexible are close relatives, but not the same. Inflexible people aren’t necessarily avoiding risks; they are just so set in their ways, so sure that they have the formula for success that they simply can’t see any other way of doing things. Flexibility as I’m referring to it means the ability to quickly adapt to changing circumstances. About six years ago I was working in my father’s company, and he had to drastically adapt to save it from dying a slow death. In 2003, when the DNC Registry was instituted, his business—an energy consulting company–was severely impacted. For nearly 7 years, he specialized in residential sales and all of a sudden, his lead pools were cut by as much as 70% in certain markets. Sales crashed to an all-time low. He could either severely downsize and play the drastically reduced residential game–which many companies did—or he could completely alter the course of the ship and go into his own “terra incognita”…commercial sales. He knew very little about building a successful commercial sales team in this industry. He was an expert at the residential side, and his previous business was all residential sales too. But, just like when he started his first business, he knew the risk had to be taken. He formulated a plan to transition the entire company–about 130 salespeople at the time–into commercial sales. The transition was rough and required a complete revamp of his training, but to make a long story short, it actually unlocked the real potential of the company and now it’s doing better than ever before. Inflexibility and aversion to risk would’ve prevented him from making that transition. It would’ve led to him taking the “safe” route of “what he always had done,” which probably would’ve killed the company in the end. This is especially relevant in these tough economic times. The most debilitating malady out there is fear. 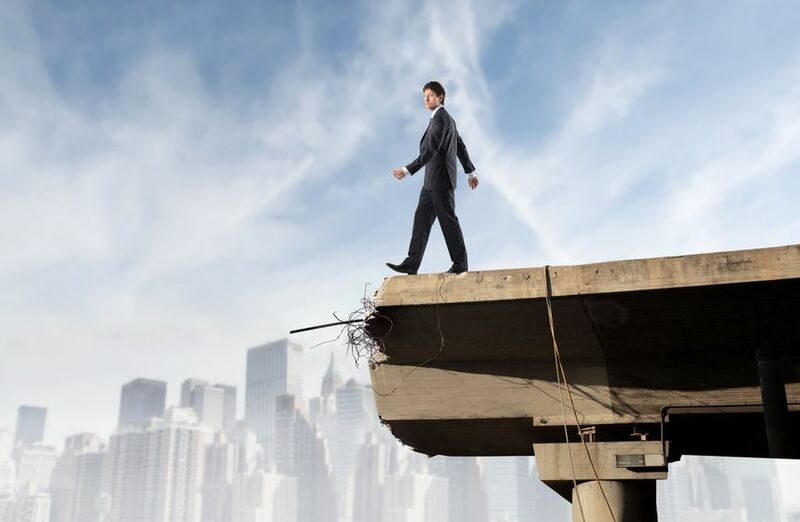 Nothing shuts a business or economy down faster than overriding fear of what might happen. The pessimism industry has grown exponentially as time has gone on. To this day, Malthus is the foundation and inspiration for much of the contemporary pessimism industry. Paul R. Ehrlich, the author of The Population Bomb, predicted in 1968 that hundreds of millions would die of starvation in the ’70s and that life expectancy would plummet in the ’80s. It didn’t happen. The infamous Club of Rome report in ’72 said we’d run out of raw materials by the ’90s. Wrong. These people were assuming that human beings were like sheep, grazing on the grass until it’s all gone. Well, we’re a bit smarter than sheep. The best example is Chris Goodall, the British author of How to Live a Low-Carbon Life and prominent member of the Green Party. He informed us that if we walk to the store, we create more CO2 than if we drive because we have to eat in order to walk and raising the food consumes so much energy that–well, I guess the only solution to the ever-weakening theories about man-made global warming is that we all sit in dark rooms with everything unplugged and the air conditioning off, doing nothing and eating nothing. The point is, there is always a ready supply of despair and more often than not, it never turns out as bad as people want us to believe. You would think that we would simply grow tired of it all. Well, I say that we need to be aggressively pessimistic about the pessimism industry. Turn off the news. Stop focusing on failures. The old couplet comes to mind: “Two men looked out through prison bars. One saw mud one saw stars.” A tilt of your head, an attitude, it can make all the difference how you shape your world. If you believe the fearmongers, there never is a good time to start anything. Something is always wrong. There are always holes in the business model, always problems lying below the surface. But if you believe in the essential creativity of entrepreneurs, then almost any time is a good time. Just ask, “Are there people there? Is there some kind of economic activity going on? Is there any means of exchanging goods and services?” If so, then that’s a good time to start a business! Be an optimist and get pessimistic about the pessimism industry. What’s your take on these business strategies for failure? Have anything else to add? Let me know in the comments below!